Find out what is happening in the world of Online Marketing, especially in my specialist areas of SEO and Google AdWords. Last week saw Google make a change that the industry has been expecting for a while now – there will be no more ads in the right hand side column on the search results page. This change is still rolling out and currently differs depending on your search term and your browser. The reason for this is pure speculation but one of the main driving factors is probably the increasing shift from desktop to mobile searches and the right hand side column of ads is simply not mobile friendly. 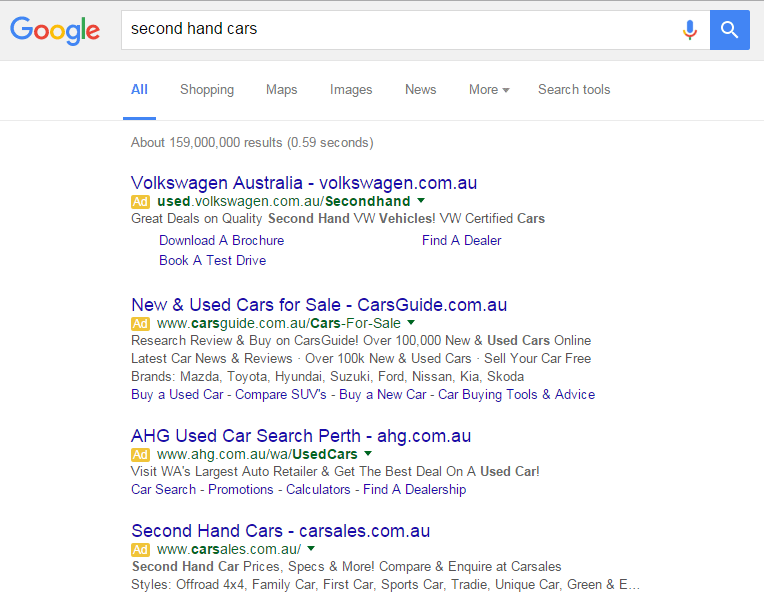 This move is also set to increase the number of clicks on Google AdWords (and therefore revenue for Google!) as they now dominate the top of the search engine results page with little or no organic results showing until you scroll down the page. 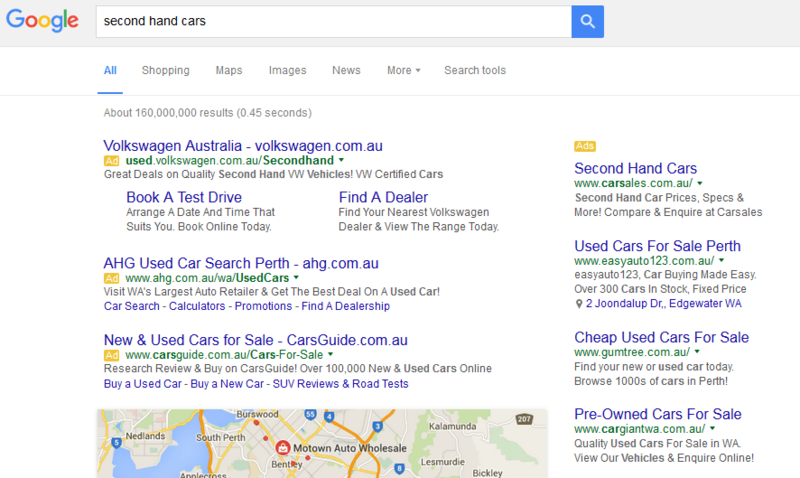 By adding a 4th ad at the top of the page, this may also mean increased costs for AdWords advertisers. As there are now less chances to appear on the first page of results, advertisers may find their costs will be driven up if they want to continue appearing on the first page for AdWords, especially if they want to appear above the organic results. This remains to be seen but we will be watching our clients very carefully to see what this change means in monetary terms for them. This is an interesting move from our perspective, we run some perfectly good AdWords campaigns in competitive markets where it made complete sense to not bid too high and average our positions to position 4 or 5 to ensure our cost per click is at a level where return on investment is achievable. This may now mean that bids will need to increase to maintain the levels of traffic that we were getting previously. 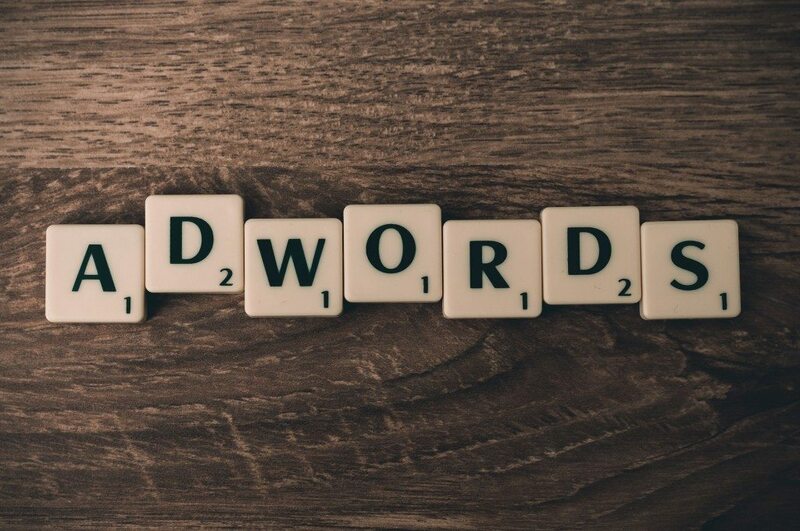 However, on a positive note, when we know which keywords convert really well for our clients in Google AdWords, this is an opportunity to increase bids on these search terms slightly to a better position. It also means we have less competition from the ads on the right hand side and our ad is more likely to get the click and then the conversion we want for our clients (if it appears in the top 4). The downside of this change is that if advertisers aren’t prepared to increase their cost per click, they may well be hit with a drop in AdWords traffic. We’ve also seen more integrated ads when it comes to the right hand side column in general – hotel brand searches often shows a Google My Business listing in the right hand side column, and within that listing there is more often than not a subtle ‘Book Now’ option, which is actually an ad and now taking up most of the length of the search engine results page. Google My Business results and Google Shopping are also still appearing in the right hand side. So with a shift to more integrated ads, Google have taken the decision to remove the overt ads from the right hand side column and simply run 4 ads at the top of the SERPs, and 3 ads at the bottom of the page. For advertisers that are already appearing in mostly positions 1-4, we believe the change won’t have that much of an effect on their cost or traffic, but if your average position is below 4, you may well find yourself with a drop in traffic and conversions due to no longer appearing near the top of the page unless you are prepared to increase your bids or work on your quality score. Have you noticed a change in your click through rates or conversions yet? Let us know in the comments.